Primarily, I am tasked to oversee print and digital integration – ensuring stable news operations and delivery services for Berita Harian’s digital platforms. I manage the paper’s system management, web and app developments, data science, as well as digital sales and marketing. I am also tasked to conduct outreach programmes, product branding and circulation promotions. These responsibilities allow me to engage our readers and advertisers while at the same time, attract potentially new ones. Our broad strategy is to sustain the paper’s attractiveness and relevance by providing quality journalism so as to expand our readership base and improve our bottom line. Disruptive technology – which caused traditional print media to suffer greatly. Advertising and circulation revenues nosedived which led many newspaper companies to fold and cease operations with journalists losing their jobs. Social media and the prevalence of free (read: alternative) online news sites and citizen journalism have made it tougher for newspaper companies to stay relevant. With increased literacy and political awareness, people are able to distinguish between ‘real news’ offered by alternative news sites and ‘propagated news’ presented by government-controlled media. As such, mainstream journalists are in a quandary: provide ‘balanced’ reporting and let the paper face an increased trust deficit with readers, or report stories factually without fear of reprisals or repercussions and face the possibility of losing a job? Journalism is a human right. It is key to disseminating information and knowledge. Without journalism, people will not be aware of events around the world including the struggles and challenges faced by victims of mass destruction. The situation in Gaza, Palestine and Rakhine, Myanmar are examples of how the media play an important role in bringing the world’s attention to the suffering of people in both states as a result of atrocities committed by monstrous regimes. As the world become more complex, journalism becomes necessary to fix deteriorating political systems as well as fighting against inhumanity, social injustice and failures in governance. What is the greatest lesson you have learnt from another journalist in Asia? A fellow journalist in India worked hard over four years in reporting sexual abuse cases involving 39 students in Mumbai, ensuring justice was carried out in accordance to the rule of law. Another fellow journalist from Indonesia became a political prisoner for “spreading hostility and hatred towards the government” when he was in fact, upholding democracy and press freedom. Their doggedness in championing their causes, fighting injustice and their tenacity and perseverance in facing various challenges in upholding democracy and press freedom are attributes worth following. Journalism relies on knowledge and information. Without it, journalists will not be able to work properly. As professional and ethical journalists, we hope for a free exchange of information so that we can report stories accurately and truthfully. However, tighter controls over media in many Asian countries has resulted in journalists being unable to provide news accurately as it should be. Authoritarian censorship is one factor that needs to be addressed urgently as we are seeing a greater correlation between ‘fake news’ and ‘propagated news’ disseminated by government-controlled media. Asia is the world’s largest and most populous region. It is home to 4.5 billion or 60 percent of the world’s population. There are hinterlands along the Silk Road bridging the East and West trading routes. There is also the Malacca Straits, one of the world’s most popular shipping lanes and the Suez Canal, an important international navigation canal linking the Mediterranean Sea at Port Said and the Red Sea at Suez used by European maritime trade companies to exchange goods with India, China and South East Asia. If you wish to travel by land, why not try the Asian Highway 1 (AH1), the longest route of the Asian Highway Network, spanning 20,557 km (12,774 mi) from Tokyo, Japan via Korea, China, Hong Kong, Southeast Asia, Bangladesh, India, Pakistan, Afghanistan and Iran to the border between Turkey and Bulgaria west of Istanbul where it joins end with European route E80. Asia is also home to the world's mainstream religions including Islam, Christianity, Judaism, Hinduism, Buddhism, Confucianism, Taoism, Jainism, Sikhism, Zoroastranism, and many others. In short, Asia is never in black and white – it is full of colour. As an Asian journalist, there is never a dull moment. 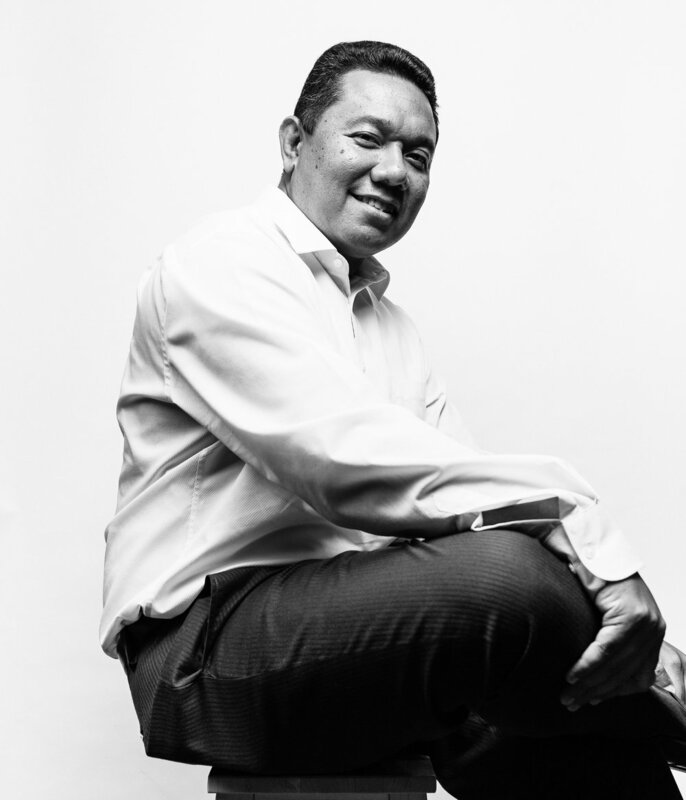 Chairul Fahmy Hussaini (Singapore) is the deputy digital editor of Singapore’s Malay-language daily, Berita Harian. His primary task is managing its digital platforms and strengthening the paper’s online business and expanding its reach. He was previously a political correspondent and an award-winning journalist who has reported key events from the frontline.